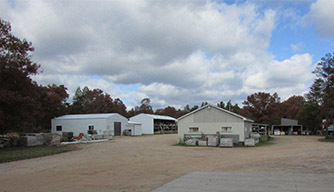 Lenny’s Lumber, a family owned and operated lumberyard, is located ¼ mile east of Necedah on County Rd. G. The lumberyard carries a full range of building materials at competitive prices and a knowledgeable staff to help customers with finding the best solution for their building needs. Home design services are available as well as project estimates. We are members of the Northwestern Retail Lumberman’s Association and Independent Businesses of Wisconsin. History of Lenny's Lumber Pritzl Building & Supply, Inc. aka Lenny’s Lumber has it roots in Appleton, Wisconsin. Founded by Ray Pritzl and Herman Ruscher in 1948 as Pritzl & Ruscher, Inc., the lumberyard serviced the Fox Valley residents with quality building products, building homes and producing custom cabinetry, and millwork. In 1965, Herman retired and Ray bought out his partner, moving the business to Necedah. He re-named it Pritzl Building & Supply, Inc. Ray continued to build homes and cabinets in the Necedah area and furnish materials to local residents. Lenny Dorobek, Ray’s son-in-law, bought the lumberyard in 1985 as Ray retired. He added the dba: Lenny’s Lumber and has concentrated on retailing building products. In December of 1999, the original office/shop building was destroyed in a fire. The following year a new store and a separate shop were built. Over the years, Lenny’s Lumber has serviced home owners, local businesses, residential and commercial contractors. Lenny and his staff pride themselves on their exceptional customer service. Lenny's Lumber welcomes you. We will post items here which are new to us; and others which may be specially priced for a quick sale, etc. Please check back often for updates. 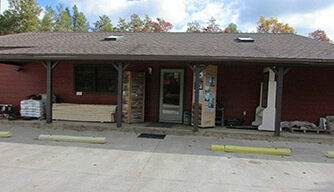 At Lenny’s Lumber, you will find everything for your building and remodeling projects. Quality is our #1 priority along with great service. Serving the Juneau County and surrounding areas, our professional team will work with you to fulfill all your needs. Lenny’s Lumber will do whatever it takes to make your building project a success. Lenny’s Lumber offers a wide selection of foundation and structural products to last over the years. We offer sheathing, I-joists, floor and sub-flooring products. Whether you’re building a home, office or other structure, it all starts with a strong foundation. Contact us today to see how we can help you to get started with your structural needs. At Lenny’s Lumber, we believe that quality lumber provides you with better structure and straighter boards. 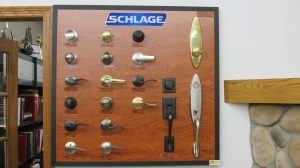 Choose from a variety of products that will let you achieve the look of your design requirements. Lenny’s Lumber offers quality CertainTeed roofing products available for all your roofing needs. Ventilation systems and other roofing products and accessories are available. Want a traditional or luxury style roof?… Lenny’s Lumber will help you get what you need. Lenny’s Lumber offers vinyl siding, fiber cement, brick and stone, shakes and shingles. However you want to finish your structure, we’ve got what you need. Be creative with your individual style when building your deck or patio. Lenny’s Lumber offers many styles for railings and accessories to add your finishing touch to any deck or patio. Lenny’s Lumber has the quality cabinetry to complete the kitchen, bath or other specialty items on your list. Custom designs available through special order. Lenny’s Lumber is a True Value retail store. We offer a full line of hardware including paint, plumbing, electrical, nails, fasteners, hand tools and many other everyday do it yourself supplies.